Donovan CPAs helped sponsor The Bishops to come play some all time favorite music. 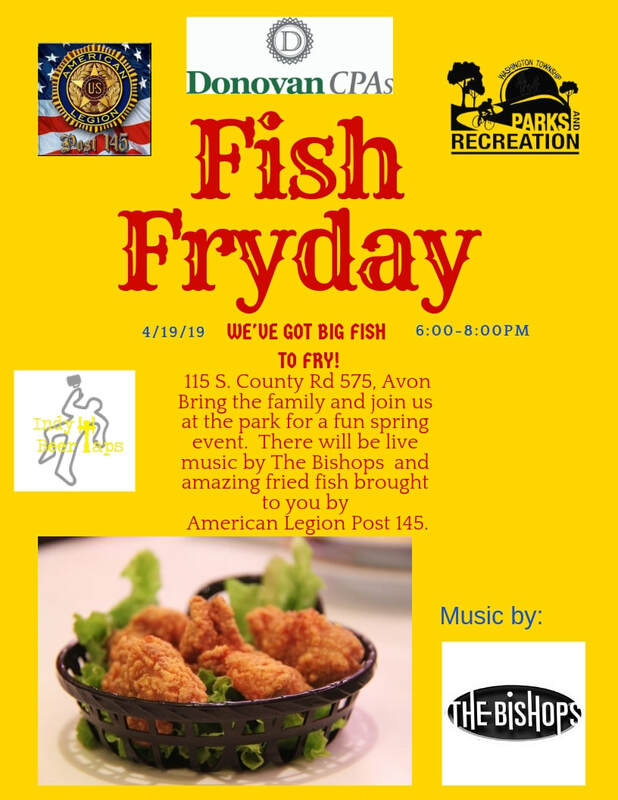 American Legion Post 145 from Avon will be frying fish. The Legion will sell meals and drinks. Indy Beer Taps will provide drinks in a designated adult area. Bring your blankets and lawn chairs to the upper park to enjoy a nice Spring evening at the Washington Township Park!